Getting rid of your junk can truly be transformative. It’s amazing how much space unwanted clutter takes up in your garage, closets, basement and attic. The team from Junk King is going to move fast to get all those items out. You just show them what you want removed and they will take it from there. You won’t have to lift a thing. Communication is key in any type of business. When you’re expecting a work crew, then you definitely want to be kept informed about their progress. Junk King makes it a point to let their customers know when they are 20 minutes out from arrival. You might also get a call letting you know they could be there even earlier in the day! 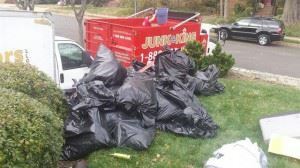 After one junk removal session, you’ll be ready to add your rave review for Junk King BucksMont. This entry was posted in BucksMont Junk removal and tagged clutter, Junk King, junk removal, reviews on October 1, 2017 by Junk King. Last updated October 1, 2017 .